What Are the Most Important Aspects to Look into While Buying a New Watch? Heavily-themed around the adventures of Phileas J. Fogg – the protagonist of Jules Verne’s ‘Around The World in 80 Days’ – Mr Fogg’s Residence in Mayfair is just one of the Inception Group’s venues based around the character. Mr Fogg’s Tavern near Covent Garden is essentially a pub with a strong focus on British food, while the upstairs gin parlour boasts one of London’s strongest collections of Mother’s Ruin. Mr Fogg’s Residence, on the other hand, is based around Fogg’s home – originally on Savile Row, just around the corner. Tucked away on a side street just off of Berkeley Square, the bar would be difficult to locate were it not for a (massively unhelpful) doorman with a top hat and clipboard. Inside, what’s most surprising (other than how busy the place is on a Tuesday evening) is the fact that, unlike so many other themed-venues – Mr Fogg’s Residence is not profoundly irritating. 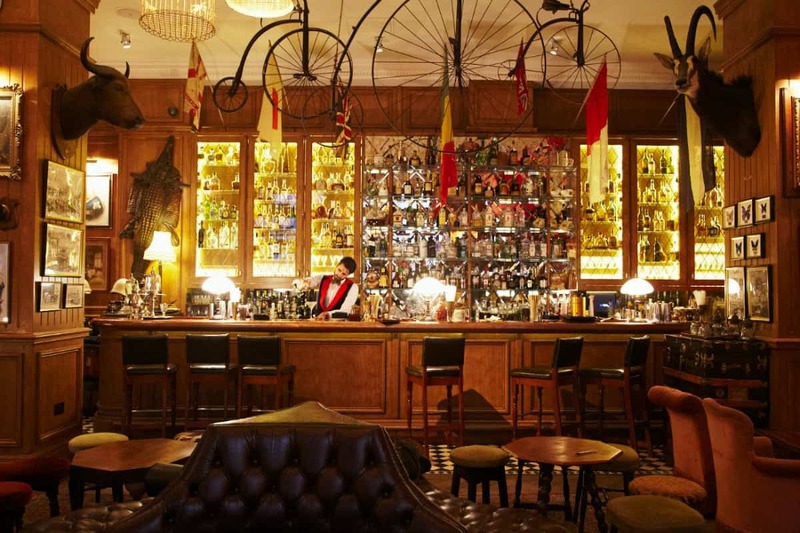 Decorated in a fashion that’s typical of the Victorian moneyed class, the space is filled with all sorts of travel-based ephemera that adorns the walls, ceilings and bar – tying in with the Victorian obsession with keeping up appearances. During our visit a live band rattled through some folk-tinted covers (The Rolling Stones, Elvis Presley, etc.) in one corner, while a half-inflated hot air balloon suspended from the ceiling highlighted another. 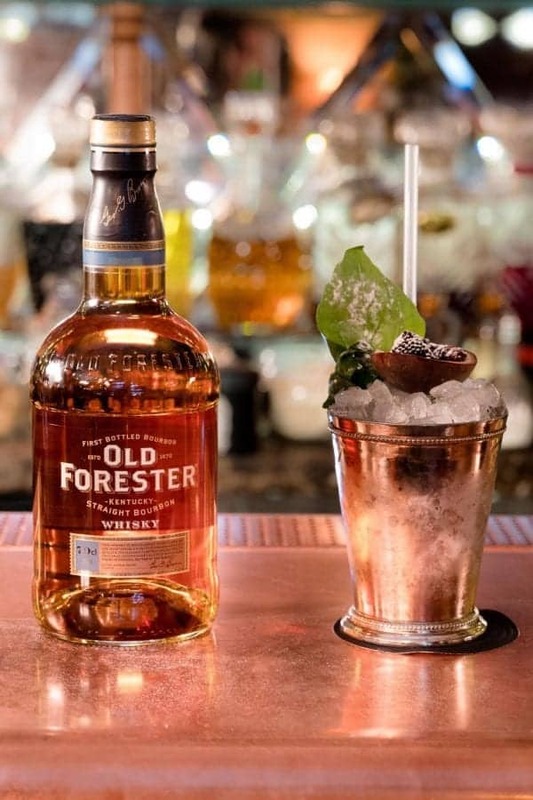 On this particular evening, the bar was celebrating the launch of a brand new selection of limited-edition Old Forester whisky cocktails. First produced in 1870, Old Forester remains the only bourbon to be continuously distilled by the same family company before, during and after Prohibition. Drinks include the likes of ‘Old Kentucky Spice’ (£15) – a concoction of vanilla-infused Old Forester bourbon with ratafia, passion fruit puree and spiced marsala. Served in a metal tankard, the drink has a fair-deal of sweetness, but it’s balanced by a prominent fruitiness. The passion fruit also works in surprisingly pleasant harmony with the bourbon. The drinks do take a long time to arrive, however, and discretely attracting the attention of a waiter, to order another, is no mean feat. Elsewhere, the menu includes a number of fittingly bizarre riffs on classic cocktails, plus a ‘Space-aged Negroni’. Inspired by the Explorer Series at Mr Fogg’s, the bitters used within the drink were launched 27 kilometres above the Earth’s surface with the help of food and drink scientists Bompas & Parr, using a bespoke balloon. The ‘space-aged’ ingredients are combined with Tanqueray No. TEN gin and Carpano Antica Formula vermouth. Although expensive at £25, this drink is like no other and is served with a certificate of authenticity. In addition, Mr Fogg’s also serves ‘Tipsy Tea’, a take on afternoon tea, every weekend – which seems ideal with Mother’s Day coming up. The drinks are great, the service has a little to be desired, but – most importantly – Mr Fogg’s Residence, as a venue, is fun: a welcome relief from the stuffiness generally associated with the local area. Mr Fogg’s Residence can be found at 15 Bruton Lane, London, W1J 6JD. Jonathan is Food Editor for The London Economic.Jonathan has run and contributed towards a number of blogs and has written features for publications such as The Guardian, GQ and Time Out London.